Takeaway: ​There are both technical and economical challenges associated with feeding the world: uneven wealth distribution, shifts in climate patterns, and diminishing amounts of arable land. We've been growing our food using the same general approach for as long as we can remember, but luckily we live in an age where technology can address these issues. Vertical farming is one of the hottest things to happen to agriculture, showing tremendous potential for revolutionizing the field. It is a method for growing crops indoors in a highly controlled and simulated environment. The crops are grown in a very space-efficient manner, utilizing a vertical structure and stacking shelves of produce on top of one another. AeroFarms is located in New Jersey and it's one of the most amazing vertical farming facilities, with a potential for producing more than two million pounds of greens annually. The facility operates as a separate ecosystem, without the need for soil, pesticides or sunlight. There are powerful LED lights doing the job of the sun, but with incredible efficiency and adjustability. 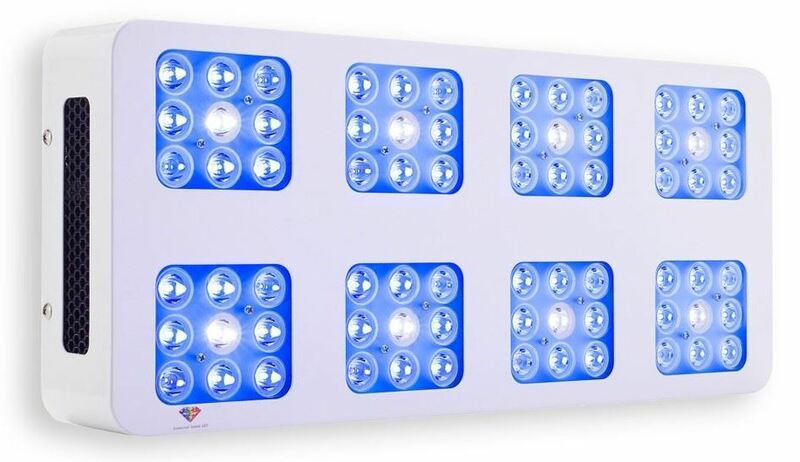 Plants benefit more from light in the blue and red spectrums and these sophisticated lights can deliver exactly what the plants need for during each growth stage. As the term “vertical farming” suggests, the greens are grown in trays stacked on top of one another, reaching a height of 30 feet. The growing environment is filled with sensors monitoring it at all times and providing valuable data. One might even say that it is more science than actual agriculture. There are many cleverly engineered devices around the plant that aid in the plant`s growth process. As the crops grow, there are hoses providing them with carbon dioxide and additional devices for adjusting humidity and temperature. The process is also partly automated with the help of conveyor belts that move the greens to a pruning device that removes the roots. What is the technology that sustains such a complex plant growing facility? There are a few detrimental factors that we'll examine. Vertical farms are closed facilities where the weather is artificially created, so to speak. This makes them independent from the weather conditions outdoors. Crops can be harvested at least a few times a year, regardless of snow, rain, or any other potentially disruptive conditions. In the case of growing strawberries, there can be close to 30 harvests a year! As we mentioned earlier, the vertical nature of growing the crops makes it incredibly efficient. This also makes it implementable in dense urban locations where the products can be immediately transported for consumption. Some companies push the frontiers of vertical farming with their innovation. One such company is Spread in Japan, which uses robots to maximize yields and minimize labor costs. The robots have the incredible capacity of harvesting 30,000 lettuce heads on a daily basis. Of course, the term robots is not used in the meaning of human-like mechanic creatures, but rather they will be more like mechanized conveyor belts with hands. Hydroponics is an advanced nutrient-delivery system that utilizes water and different chemical solutions without the need for soil. It is a highly efficient system because it reuses the resources, which means using 95 per cent less water. Furthermore, there is no need to add any pesticides. Some vertical farms like AeroFarm utilize aeroponics, which is the more advanced version of hydroponics. It is a simple concept, yet very effective, as it consists of a closed-loop system for reusing the resources and uses 40 per cent less water than hydroponics. What's great about this system is that it stimulates the growth rate even further. Although not using the power of the sun might sound impractical to some, there are many benefits to using full-spectrum LED grow lights. They can deliver light in the exact spectrums the plant needs and stimulate it to grow faster and stronger. As they boast at AeroFarms “We're growing in 16 days what otherwise takes 30 days in a field”. Naturally, there is some criticism and downsides involved. Carbon emissions and the overall cost of running such a facility are considerably high. There are many expenses related to electricity and labor that make the end product pricey. The high energy consumption also leads to undesirable CO2 emissions that harm the environment. These are all issues that may be solved in the near future, with the right advancements in technology, but at the moment they are here to stay. In the end, it's a matter of weighing the pros and cons and deciding what's best in the long-run. Although vertical farming has certain limitations, the potential outcomes are tremendous and with continuous effort and investments it can be developed even further. Especially considering its implications for producing bigger yields regardless of weather conditions, it is not something that should be overlooked as being too “futuristic”.